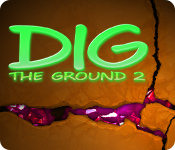 Dig The Ground 2 is rated 3.8 out of 5 by 9. Rated 5 out of 5 by beckins from Pennmom was right! Thank you pennmom for sparking my interest to try this game. It does take a couple of levels to figure everything out, but once you do, let the puzzling begin!! I would have probably given up once I reached the nuclear cells, but then recalled pennmom's comment about the bigger the blast... I can tell that the challenge will increase as the game goes on and am looking forward to taking on that challenge. Try it for yourself and you may be surprised too! Rated 5 out of 5 by pennmom36 from I'M REALLY DIGGING THIS SERIES! I've never been a fan of Chain type Match 3 games, but this game changed my mind, besides, it just wouldn't work any other way. This is a super addicting game, I bought the first game after playing the demo, but I only needed to play a few levels of this game before deciding to add it to my collection. 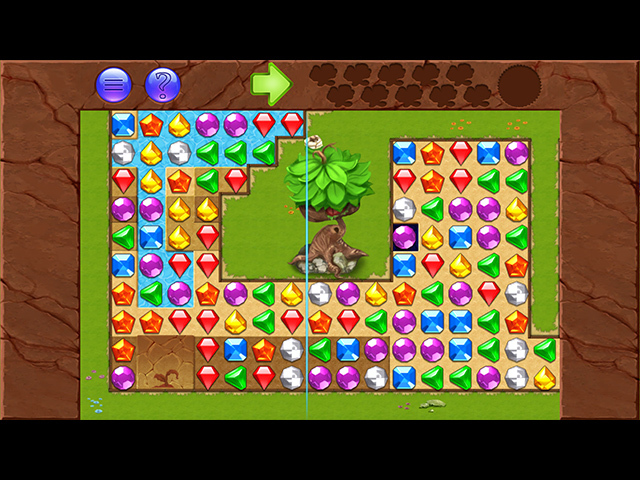 The goal is to reach the buried Flowers (Dig The Ground 1 had treasure chests) by making chains of elements to dig through the dirt or gold tiles, which allows the water to reach them. There's actually a lot of strategies involved because you have to manipulate the water flow to go in several directions and you can't go back up, only down, right or left. The longer the chain, the bigger the explosion! You can make small chains of elements containing at least 2 identical elements which will destroy the dirt tiles if matched adjacent to it, and it helps to keep the water flowing, and can sometimes make room for larger matches. Matches of 5 or more create an explosion starting with a small bomb, the larger the chain is, the larger the explosion is, all the way up to a nuclear bomb! The radius of the explosion is shown before you release the chain so you'll know exactly what will be affected by the subsequent explosion. Chains can be made vertically, horizontally, diagonally or any combination within. You start the game at the top of the board and work your way down, but some levels go from left to right, or take sharp turns, starting in one direction and then up, right, left, etc. You must break all of the ground tiles above the line, as you do, the line moves and more of the board is exposed. You want to plan your explosions, and the Nuclear Tiles require a very large match to get a Nuclear Bomb. This game isn't going to be everybody's cup of T......NT, but I thoroughly enjoyed playing this unique Match 3 game. For me, it gives meaning to making Matches, Again, there are only 25 different levels total, but don't let that deter you, because each level is extremely long, time-consuming, and definitely addicting! Rated 4 out of 5 by coscat from Easier than the first one My title says it all, this #2 is easier than the first Dig The Ground. It has fewer nuclear zones where you need to have a line of 14 to blow a hole through and you don't have to remove all the blockages, just one to get by. I loved the first one and replay it often but with only 25 regular levels and 25 Expert and I assume 25 timed levels it just doesn't last long enough for me. 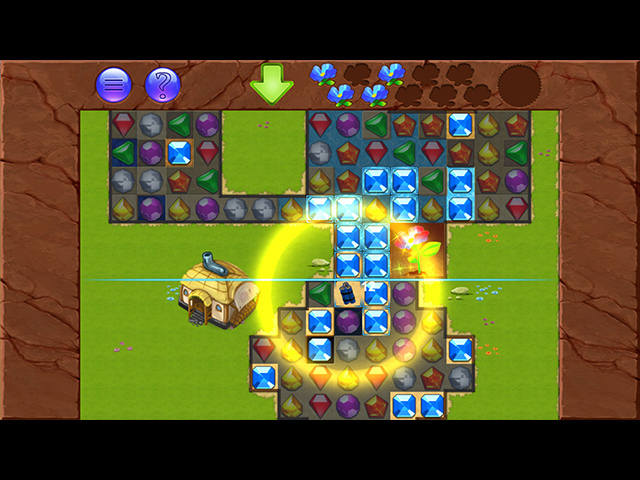 Rated 4 out of 5 by Snowdragon_23 from Fun Chain M3 Fun chaining-style M3 game in the style of the 4 Elements games. Not nearly as polished as the 4 Elements games but fun. I'm playing in expert mode (off the main menu). A buy for me. Rated 4 out of 5 by Kirioth from No instructions on game I am enjoying it, but it doesn't explain how many to match for a nuclear bomb. I'm still playing it trying to figure out what to do. Rated 3 out of 5 by fluffitude from Could have been a 5 star game Since the game has already been described, I felt the need to add that the game seems incomplete. The "instructions" were very short because there's only a couple things you can do. As soon as the second level, I got into a tight corner. Made numerous matches of two tiles, as that was all there was. Once those matches were made, there was nothing else to do. As far as I can tell, there are no power ups, help, etc once there are no matches on the board and it doesn't automatically reset the pictured tiles. If they had gone a couple extra steps in this game, I would have bought it. Rated 2 out of 5 by isis1313 from liked the first one more okay, tried it in regular mode and then in expert and to be honest, couldn't figure out what made it "expert" I found it annoying that it would bypass flowers so fast and didn't give you a chance to make matches to bring the water down on each side. Didn't even get past the first level and gave up, I'm going back to the first one. 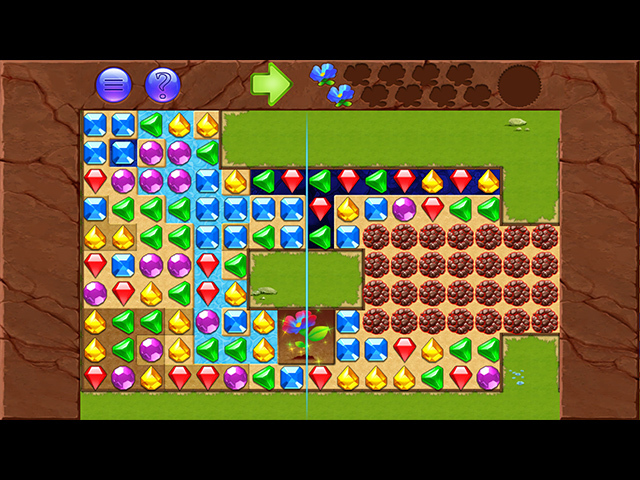 It's much more of a challenge and takes me about 1 hour to do each level so much more fun. Rated 2 out of 5 by bluegill1 from Weak tea Some of this review is a matter of taste but mostly judgment based on playing many match 3 games. The taste part is the music. I just don't like the droning on and on. Nor do I like chain match games, as there are always long chains to be made, which makes any effort at thinking perfunctory. As for judgment, there really is not much of a challenge, and aside from sprouting flowers not much to look forward to. Anyway, good to know anyone can do the demo to see if it works for them. It surely doesn't for me. Having said that: 'Am waiting (really waiting) for Spellarium Cursed House, Jewel Match!